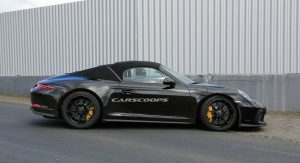 Just last week, Porsche revealed a concept version of a 991.2-generation 911 Speedster for its 70th birthday. 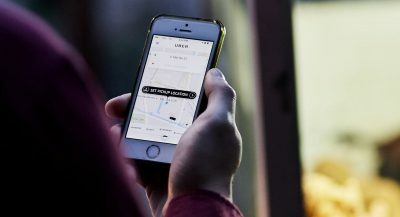 While the company stopped short from saying it will enter production, we already know it will, and we have proof of that. 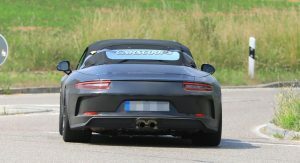 Our spies have caught Porsche testing several prototype models of the limited production 911 Speedster on public roads. 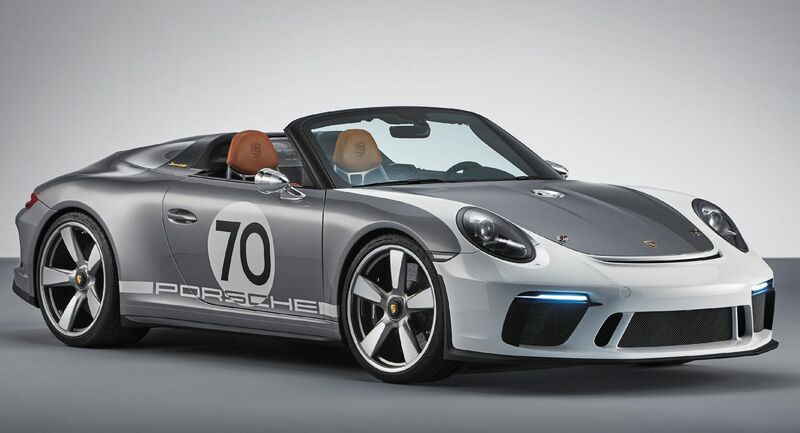 Designed as a last hurrah for the current-generation sports car, the 911 Speedster is based on the 911 GT3 chassis. 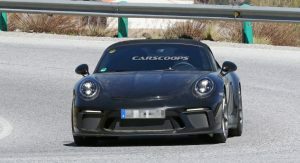 While much of the design carries over, the Speedster has a unique hood and eschews the GT3’s massive rear wing. 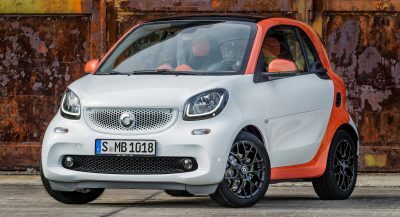 The styling changes don’t stop there as the model adopts a unique soft top and rear deck lid. 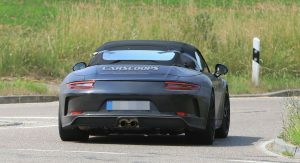 Porsche attempted to hide the changes by disguising the model as a traditional Cabrio but we can see the soft top is significantly smaller than what the company wants us to believe. 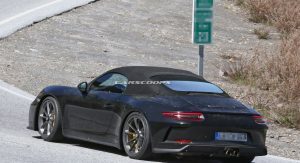 The rear deck also appears to be sportier than the one used on the last 911 Speedster which arrived in 2010. 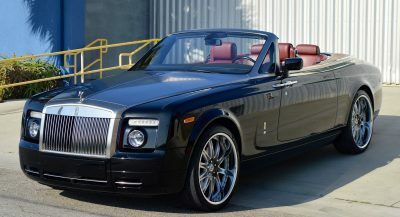 As you can tell for yourself, it’s 95 percent production ready, with only some minor changes expected to be made to the model that will go on sale, like the mirrors and decals. 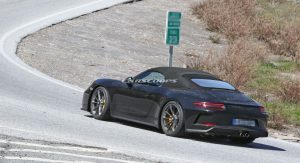 If the concept’s GT-sourced powertrain carries over, we can expect the model to have a naturally-aspirated 4.0-liter six-cylinder engine that produces “more than” 500 hp (372 kW) and 339 lb-ft (459 Nm) of torque. 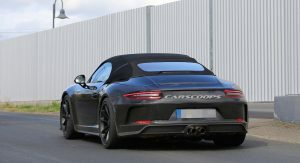 It enables the coupe to accelerate from 0-60 mph in as little as 3.2 seconds before hitting a top speed of up to 198 mph (318 km/h). 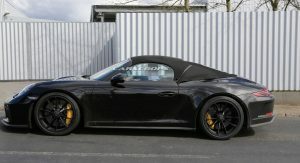 For the record, the previous 911 Speedster was based on the 911 GTS. 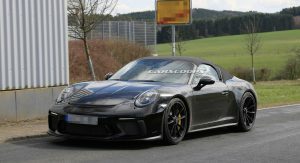 The study employed a six-speed manual transmission, but it’s not clear if it will be the only option or if Porsche will also offer its seven-speed PDK transmission. 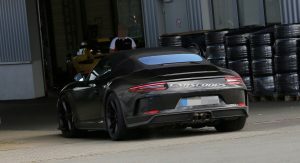 While a lot of details remain unknown, we shouldn’t have to wait much longer to see the production model as Porsche has already begun teasing the next-generation 911. 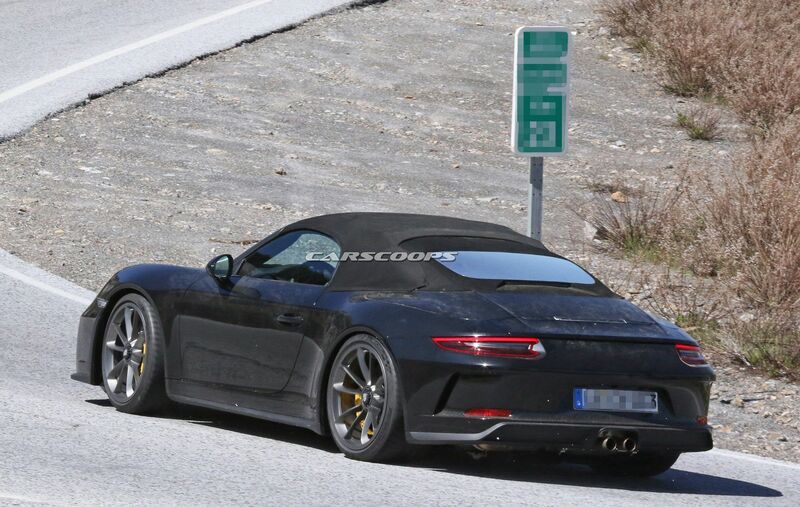 That particular model is expected to debut at the Paris Motor Show in October so it’s likely that the 911 Speedster will be announced before then. 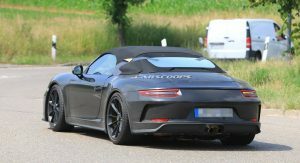 The exact date remains unclear but recent rumors have suggested the 911 Speedster could be unveiled at the Goodwood Festival of Speed which kicks off on July 12th. Nothing is official but an unveiling at the event would make sense as the company will be the featured marque at this year’s event. 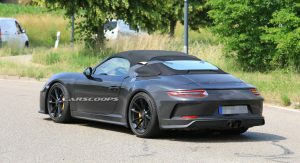 Porsche hasn’t confirmed the 911 Speedster will debut at Goodwood but the company is celebrating its 70th anniversary this year and the automaker has previously said details about “Porsche cars, both old and new,” will be announced in the lead up to the event. 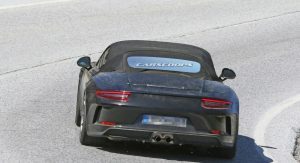 This suggests at least one new model will make an appearance at the Goodwood Festival of Speed. How many will be built? 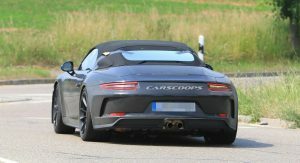 Since the 911 Speedster will be a last hurrah for the current-generation sports car, it comes as little surprise that production will be limited. 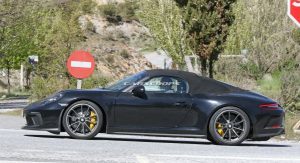 Porsche hasn’t disclosed the numbers but the company only built 356 units of the previous Speedster. Thankfully, your chances of purchasing one this time around could be better as the company will reportedly build 1,948 units as a nod to the year that the 356 went into production. Nice, but where’s the Sport Classic? 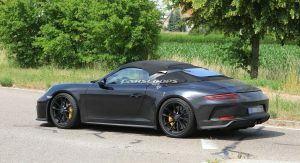 Maybe it will be a GT3SC after all (GT3 with a duck tail). I think that model is a one off. 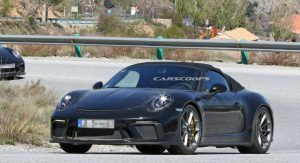 And beside we already had 911 R, which offers sort of the same philosophy. 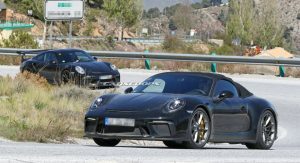 The 911R and 911 GT3 Touring already fill the role of a Sport Classic. You’re probably right. 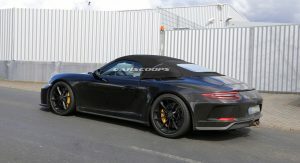 I wish they made the duck tail an option on the Touring or even the Carrera T.
Yeah it would’ve been perfect to have a ducktail option on those cars, I guess you’d have to go aftermarket for these type of demands. Cool, but I think launching a speedster on the new up coming model would have been a better idea. 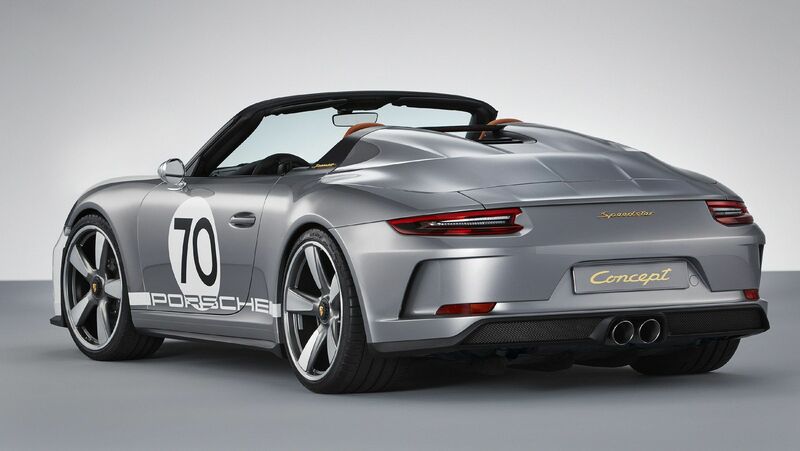 That would have given them opportunity to market it as “The New Generation Speedster is Here”. Or something similar. 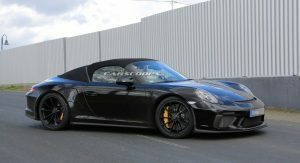 Nah, they always do the speedster as one of the last cars before the new models. Nah, they don’t always have to keep doing the same thing over and over generation after generation. break the rule, change up the old way. End of the line already. Wow. It feels like yesterday the 991 came out. I know, the design still looks great. I remember when it was the “new” 911 back in 2012. Oh how time flies. Probably the best of the watercooled generation (for now at least). 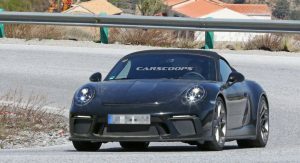 Flippers rejoice, this Speedster could prove similar if not the same to the 911R when it comes to appreciation. 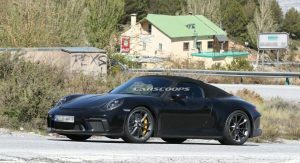 Depends… the whole manual transmission naturally aspirated 500 hp 911 is getting long in the tooth. 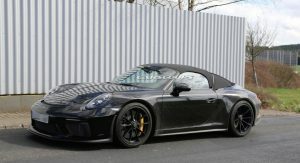 Now that the GT3’s are starting to drop in speculation price people aren’t jumping on board anymore. 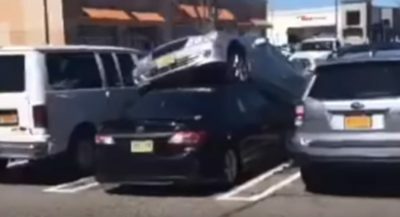 These cars are being sold to the same people over and over again. 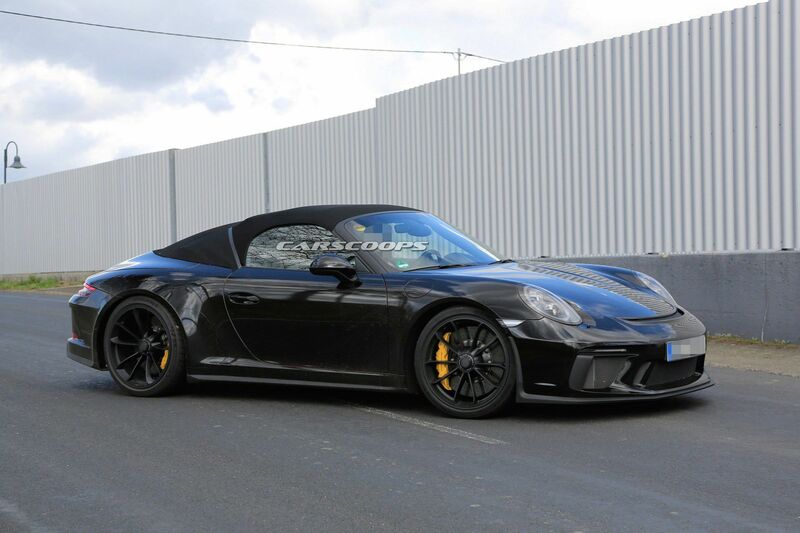 Even the 991.1 GT3 RS’s are going for the $180’s now. 6 months ago you couldn’t touch one for under $230,000. The GTS should have stayed naturally aspirated. 450 hp and naturally aspirated to be exact. I agree, but turbo is currently the easiest and fastest way to meet fuel economy requirements while keeping performance figures up. although our points will be moot fairly soon. Let’s hope no one crashes this beast with their GF’s mother inside. 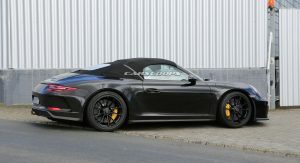 Anything that compels Porsche to produce more of those glorious 4.0L Flat 6’s is highly welcomed by me!! 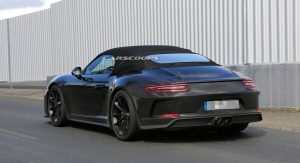 Wouldn’t everyone love to see Porsche produce a proper lightweight 911? 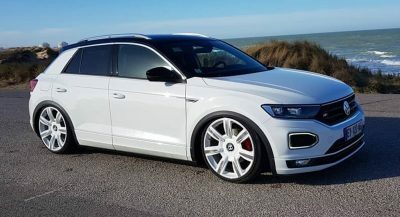 Something that comes in around 2600lb’s, no rear-seat, etc?